Now that the nights are growing longer with each passing Autumn day, we’ll be turning on the lights more often to brighten our interior spaces. That doesn’t mean our electricity bills have to skyrocket. One solution, for residential and commercial spaces, is to replace inefficient incandescent light bulbs with LEDs, or light-emitting diodes. LEDs use only a tiny fraction of the electricity that traditional light bulbs use, plus they last MUCH longer (about 25 times longer!). 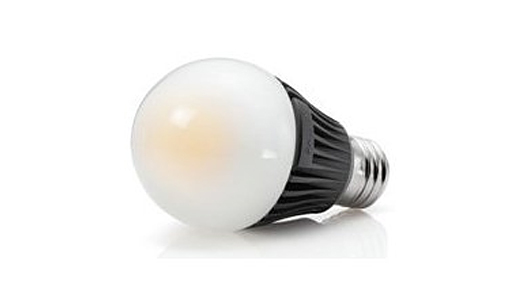 LED makers include Philips, Panasonic, Toshiba, Lemis Lighting, Digital Lumens, TE Opto, GE and others. In stores and online, you can find bulbs for table and desk lamps, under cabinet lighting, pendants, track fixtures, overhead lighting, outdoor paths, and even dimmable bulbs. The prices are definitely higher than incandescents and compact fluorescent light bulbs (CFLs), but you’ll save money in the long run and reduce your carbon footprint along the way. The less power we use, the less pollution we generate. See my ‘Top 5 Reasons to Conserve Energy’ here. Pictured here is this years winner of the ALA award: Phillips 60-w equivalent (only 12 watts!) EnduraLED A19 lamp which delivers 806 lumens (priced under $50). I couldn’t agree more that replacing incandescent bulbs to LEDs will reduce our carbon footprint. It is such an easy step that we can take to help the environment. LEDs last so much longer, so it will also be less waste we produce by not replacing as many bulbs (not to mention that LEDs don’t contain mercury!) I have to admit that I do work for Sharp, but I have always been impressed with the quality of their products. You should definitely check out their LEDs.